Scroll down for video & audio testimonials. We work with executives to increase success through improved performance of their team of direct reports. Increased emotional intelligence results in a stronger ability to balance one’s authority with effective collaboration, producing a team with increased accountabilty for results. 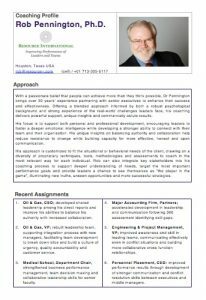 To aid in this process my business partner of 30+ years, Stephen Haslam, and I have developed a range of proprietary models and tools for reducing resistance to change and conflict, for improving team decision making and for encouraging shared leadership and facilitating ideological conflict. We are certified in established assessment technologies for increasing awareness and management of self and others, the keys to increased emotional intelligence. We have received the highest trainer evaluations from ExxonMobil each year for 33 years for our multi-day programs Successful Work Relationships and Successfully Managing The Stress of Change and have extensive experience across many industries in leadership and team development (video testimonials available at these links). Our unique communication and conflict resolution skills, team decision-making models, team development processes, and stress and change management techniques provide executives and their direct reports with practical tools for significantly improving performance in how they work with each other and across functions. We will focus on the current challenges you face and how to realize and take advantage of the opportunities they provide, potentially for a future better than you have imagined possible. Send me an email, complete an online survey and let’s get started. Get a jump our work together by taking the opportunity to download the FREE Speed Through Stress in 5 Steps in 15 Seconds workbook and watch the accompanying 20 min video. The video describes how I applied these 5 steps when being shot in the center of my chest by an unknown assailant. Reviewing this material is a great way for us to begin. Drawing upon three decades of professional experience in life-changing psychotherapy, entertaining keynote speaking, interactive multiday trainings, engaging team development and successful business experience, my coaching services are known for being engaging, in-depth, insightful, transformational, practical and a lot of fun. Download my Coach Profile defining my Coaching Approach, Recent Assignments, Coaching Philosophy, Business Experience, Training, Qualifications and Accreditations. Contact Dr Rob about executive coaching by completing a short survey.